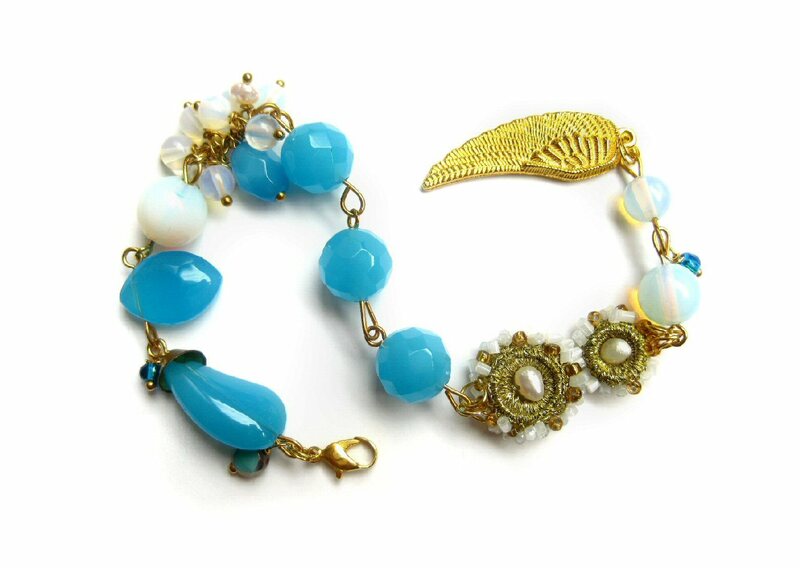 Several faceted 10mm cyan Blue Quartz Gemstones in this trendy handmade bracelet! 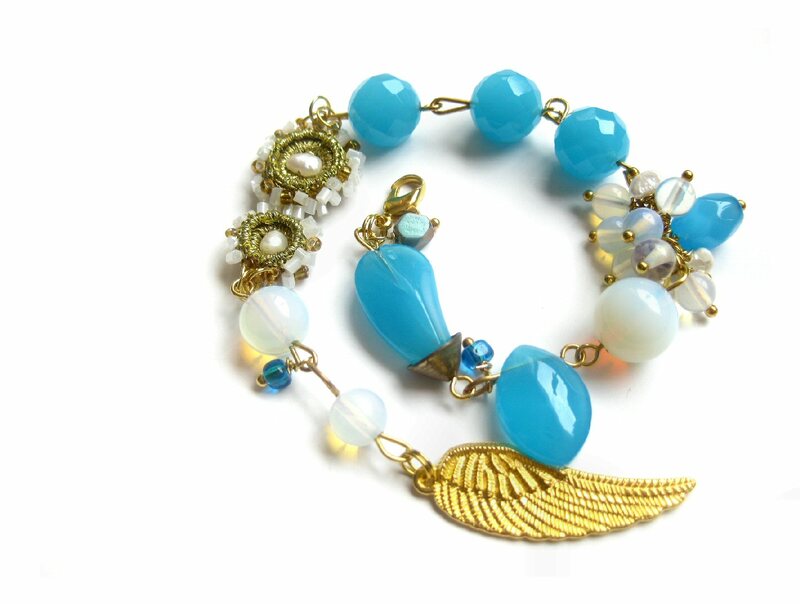 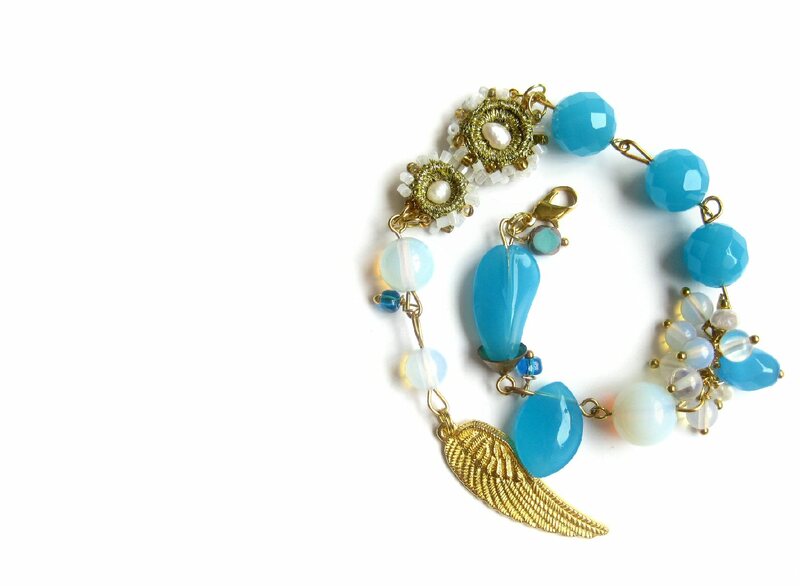 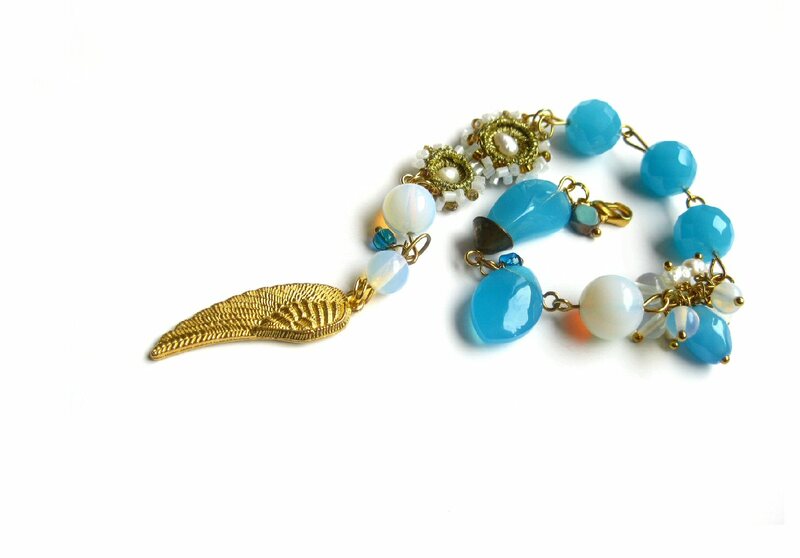 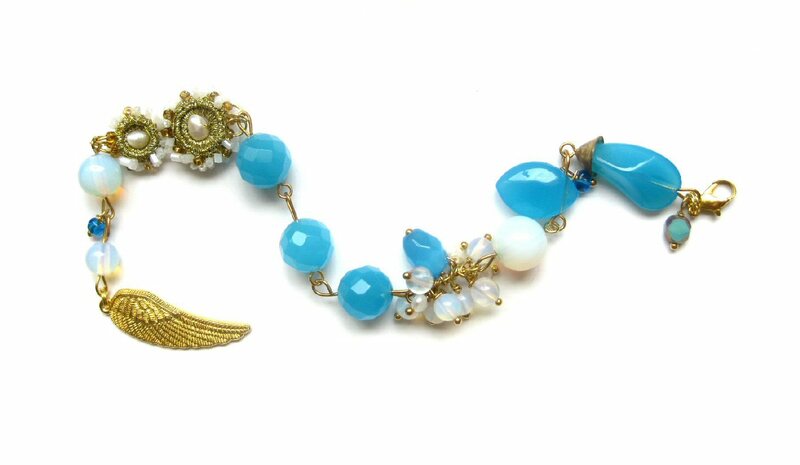 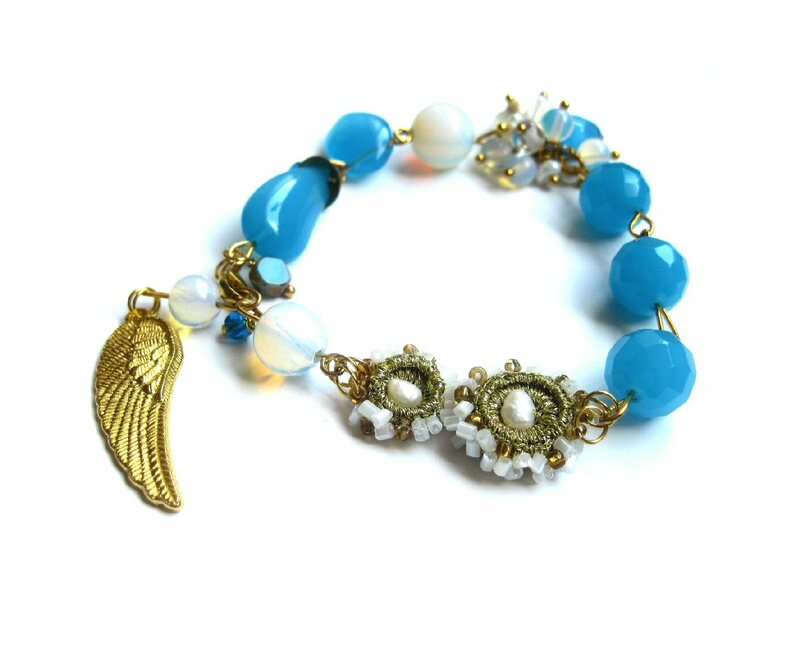 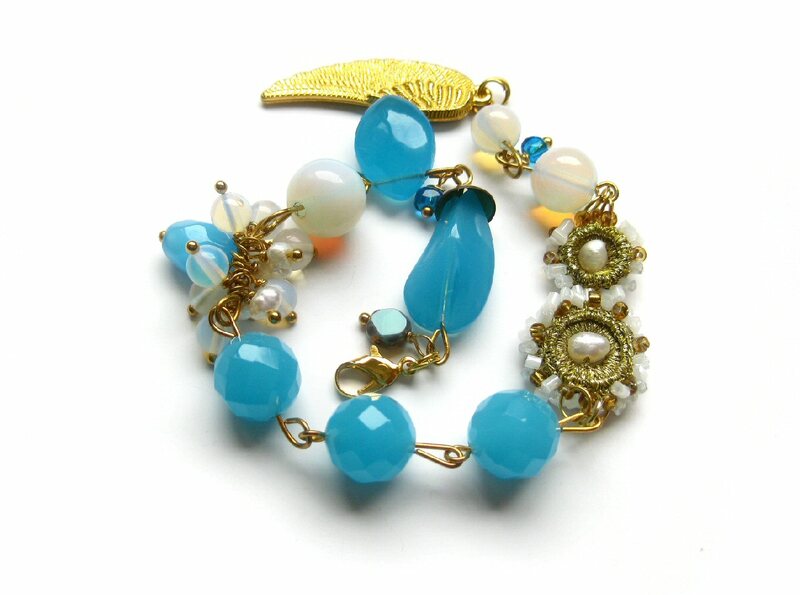 Accentuated with small fresh-river pearls, moonstone gems, cyan blue glass beads, one golden wing pendant and 2 round shaped golden elements. 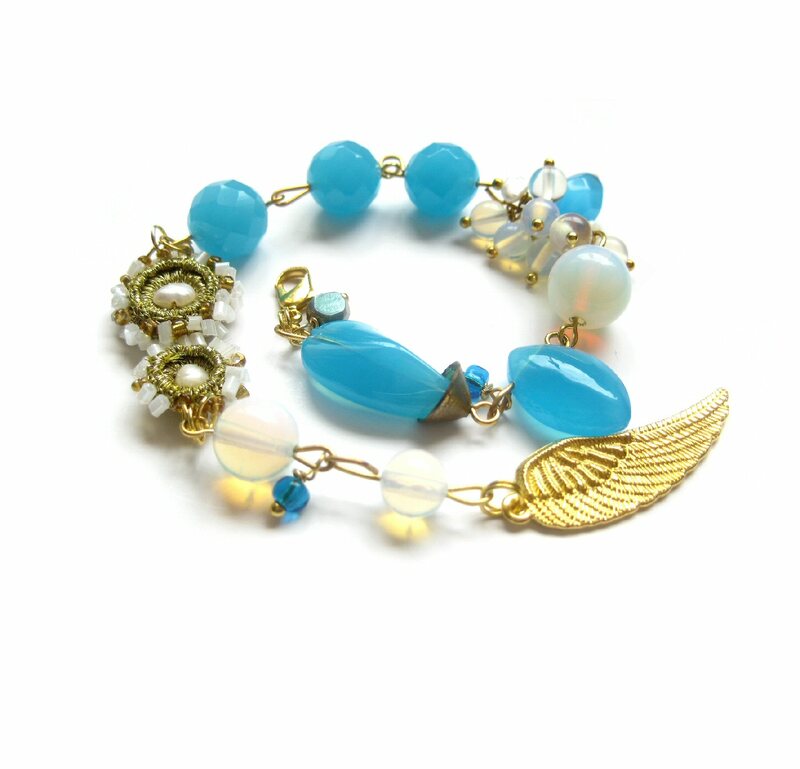 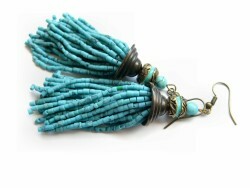 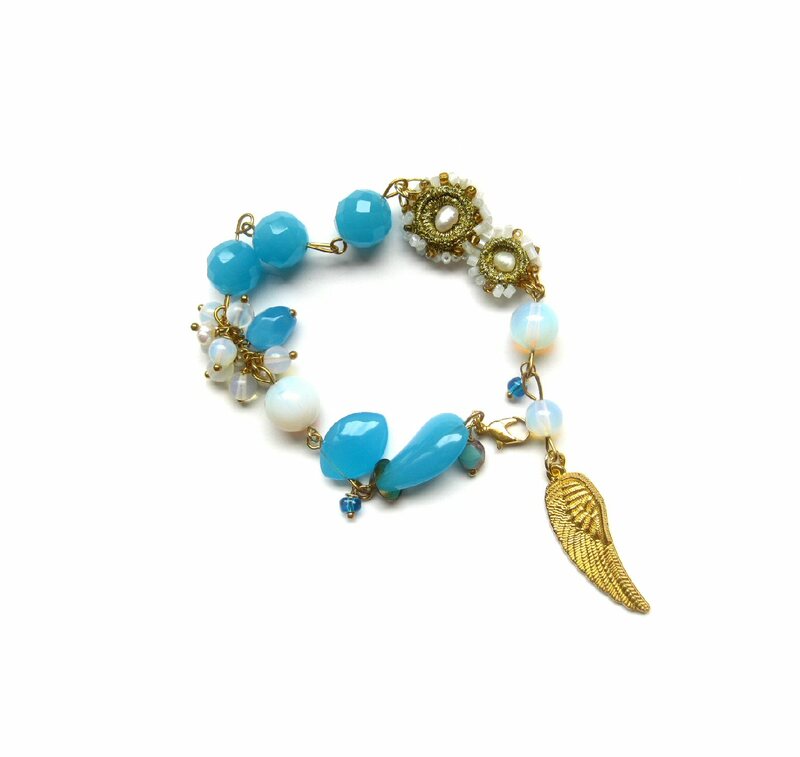 This trendy handmade bracelet contains that beautiful shimmering aqua color of tropical seas. 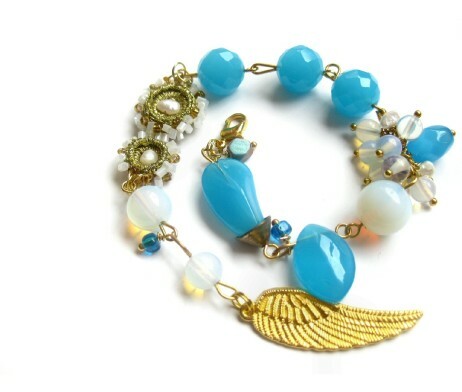 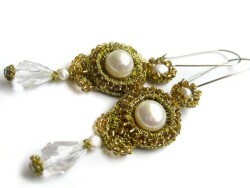 It’s perfect for adding a chic and colorful touch to your wardrobe! 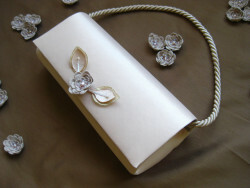 Wipe clean with damp cloth to maintain beauty. 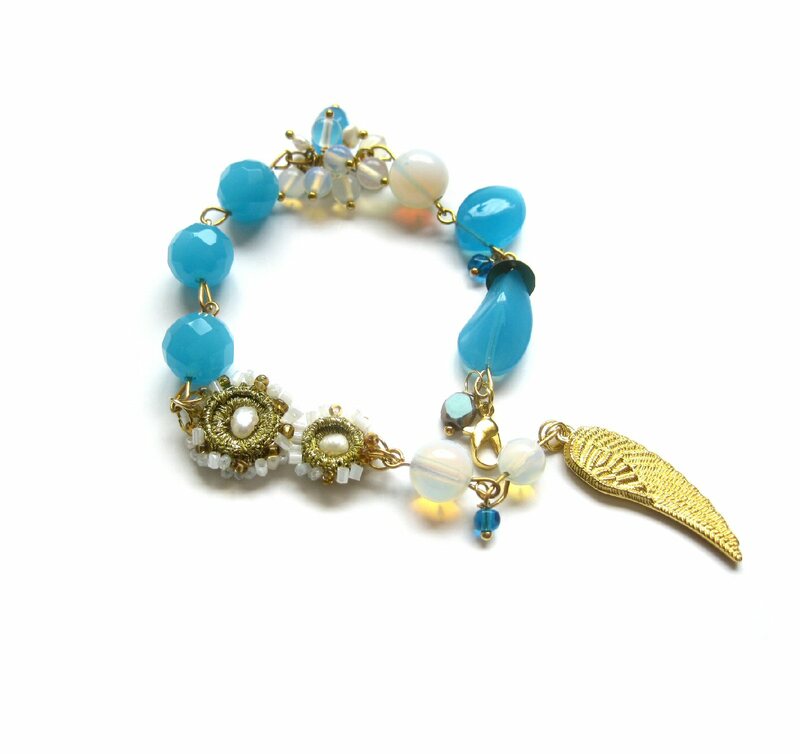 Tema foruma h, refer to the above steps to make a blue pearl bead flower bracelet, a red pearl bead flower bracelet and a light cyan pearl bead bracelet.